Quiet Lunch and Eastmen Collective teamed up with Clocktower to present 1 HOUR TALK, an artist panel featuring Gordon Holden, Marjan Moghaddam and Noah Becker. The discussion topic: how a casual culture of instant gratification - spurred by the hyper-advancement of technology - has affected the distribution and overall consumption of art. 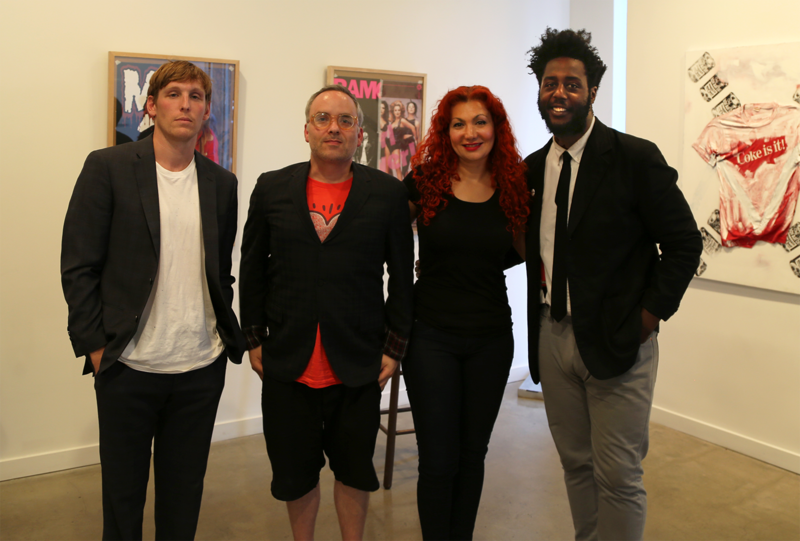 The event was held at the Lyons Wier Gallery in Manhattan on Sunday, August 24th, 2014 and was moderated by Quiet Lunch Editor in Chief, Akeem K. Duncan. Gordon Holden is a multimedia artist known for his conceptual humor and sharp rhetoric. His work is currently being shown in a brand new solo exhibition titled 1 HOUR PHOTO. Holden is a self taught artist from Hartford, Connecticut. He has collaborated with such brands as Karmaloop and Opening Ceremony. His approach is often comical but possesses a bite that leaves quiet an impression on the mind’s eye. Marjan Moghaddam is a Brooklyn-based digital artist and animator who has widely exhibited in galleries, museums and festivals, in addition to curated exhibits at the Armory Show and Art Basel Miami. Her computer-based art has been additionally funded by organizations such as Brooklyn Arts Council, NY Department of Cultural Affairs and the Rockefeller Fund, and she is the recipient of numerous awards of excellence in the field. Marjan was the featured artist for the launching of the first Internet-based digital art gallery, Dotcom Forum for the International Digital Arts, and works primarily with 3d CG for print, screen, interactive media, and performance. Noah Becker is an acclaimed oil painter with exhibitions at numerous international museums and galleries. Becker is a jazz saxophonist and the founding editor of Whitehot Magazine. Noah Becker is also a contributing writer for Art in America, Interview Magazine, Canadian Art, the Huffington Post and ARTVOICES. Becker lives and works in New York City.